An adorable, creative way to celebrate a new arrival. 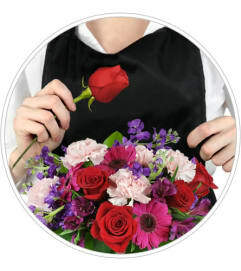 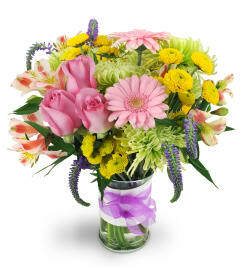 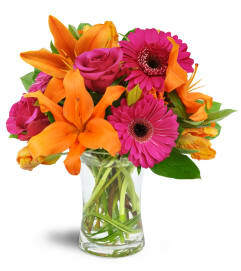 Please call us if you'd like this arrangement in another color, such as blue, or something more neutral. 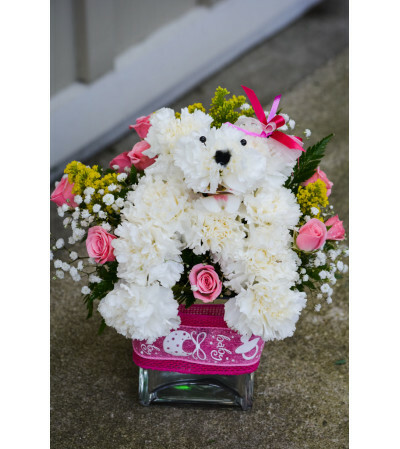 We can always customize your gift!